Travelling with children can be challenging. But when they grow up and recall these trips as their fond childhood memories, it’ll all be worth it. When you’ve got children on board, you should make active efforts to keep them safe and happy while they are in the car. 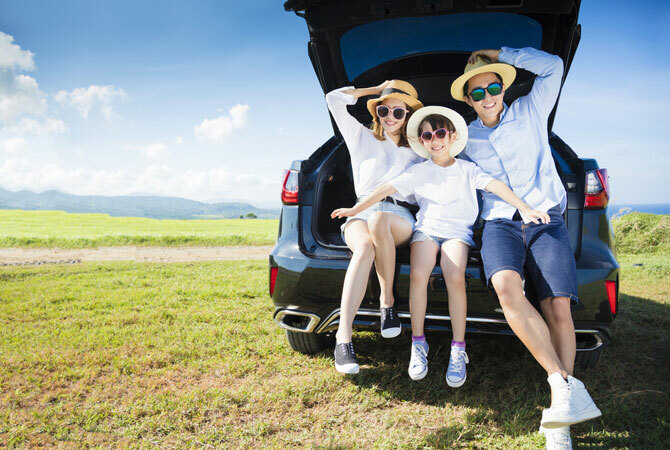 The Brisbane team here at Five Star Car Rentals has put together a few tips that can help keep children safe and happy in your car. This is really obvious, but still worth mentioning. The driving laws are in place to make the roads safer for you and your children. So, if you follow them, not only will you avoid legal issues and fines, you and your children are going to be much safer. Make sure all safety equipment is in order before starting your journey. Check the airbags, seatbelts and the children’s car seats. Make sure everything works and is set up correctly according to the instruction manuals. If something seems off, try fixing or replacing it. If you can’t do either, consider calling off your trip. Nothing in the world is worth risking your children’s wellbeing. Carry enough food and entertainment options with you in the car. Consider carrying a few books or small handheld digital and analogue gaming options to keep your children occupied. These will stop them from being agitated. Here at Five Star Car Rentals, we strive every day to keep our clients safe, happy and satisfied with our cars and service. If you’re looking for a car hire service in Brisbane that will check all your boxes, don’t hesitate to contact Five Star Car Rentals. Our experienced car hire savvy team will be more than happy to help you out with all your car hire needs and our massive fleet will definitely impress you. So what are you waiting for? Call today!